It is with great gratitude and admiration that we celebrate the 2016 Jury Members. This year we were fortunate to have 54 individual Jury Members across 15 countries, divided into teams of three or four, dedicated to each of our 14 categories. Without their commitment, expertise, and enthusiasm for design, our program would not be possible. Miniwiz holds invention patents and trademarks for various mechanical and chemical up-cycling technologies, including Polliber™, a composite made of reprocessed organic waste with recycled polymers, Natrilon™, a yarn made of recycled PET reinforced with Nano SiO2 from rice husk, Pollibrick™, a mechanical interlocking system, and many others. She has taught extensively for Cornell in numerous international venues that include Europe and Central and South America and is regularly invited to lecture and participate in diploma juries and symposia at peer institutions, most recently in Italy, Spain, Sweden and Switzerland. Student work from her furniture design course has been exhibited at the International Contemporary Furniture Fair in New York. She was a 2015 Fellow at the Baer Art Center in Hofsós Iceland. The Language of Architecture: 26 Principles Every Architect Should Know, a book she co-authored with V. Warke and published by Rockport Publishers (June 2014) has been translated into four languages. She received her B.Arch. from Cornell in 1979 and also attended Occidental College and l'Ecole Special d'Architecture in Paris. Giorgio de Mitri is an italian creative director who founded Sartoria Comunicazione, one the most relevant independent communication firms woldwide. 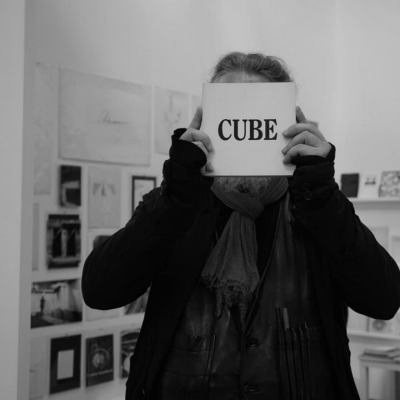 He is also the publisher of CUBE and the founder of Fondazione de Mitri, a nonprofit artistic and cultural organization located in Modena, Italy. Among other projects in 2015 he co-curated The Bridges of Graffiti exhibition, a collateral event of the 56th Venice Biennale. 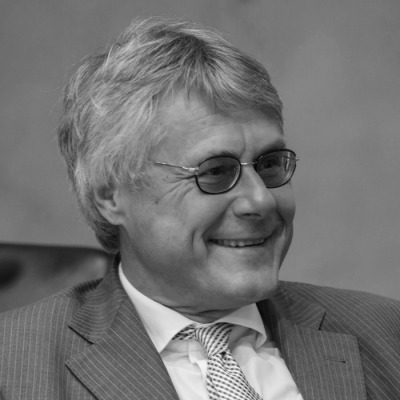 Hartmut Gaßner is a founding partner of Gaßner, Groth, Siederer & Coll. He focuses on renewable energy law (photovoltaic, geothermal, wind power projects), nuclear law, emissions trading, Stadtwerke, PPP procurement, recycling business, ministerial and municipal consulting, associations and policy advice. He studied law in Berlin, was a research associate of the Bundestag Greens (Otto Schily, Flick committee of inquiry), and had a traineeship in Berlin, admitted in 1987 before establishing GGSC. Jim Kraimer is Director of Industrial Design – Europe for Crown Equipment Corporation, which is a leading manufacturer of lift trucks and related products and services. Jim likes to dig deep into research and leverage new technologies that reimagine a new user experience. The latest example is Crown’s QuickPick Remote® -- the world’s first glove-controlled order picker vehicle -- which is ushering in a new era of game-changing automation. Crown has won over 50 major international design awards and was recognized by Fast Company Magazine as Thirty Companies that Get Design. Prior to Crown, Jim developed futuristic products for Electrolux’s visionary Concept Design Team, and also worked at design consultancies in the USA and Germany. 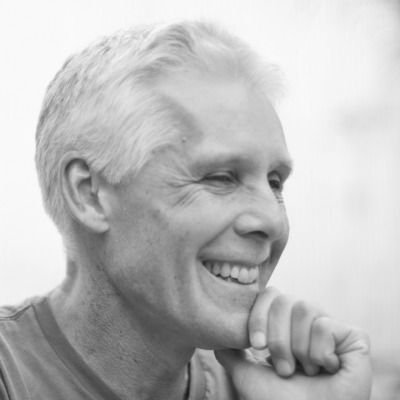 Jim holds more than a dozen utility patents and has been a regular juror for the iF Design awards. He studied Industrial Design under the tutelage of Paul Down at the University of Notre Dame. In October 2013 Bruno was appointed Chief Designer of Airbus Group. Airbus Group management charged Bruno with giving the Airbus Group range a more emotional design language. On this basis, Bruno set up future vehicle products, new ideas, future initiatives and technology strategy as a guideline for future Airbus Group innovations – some examples of the major innovations he delivered are the A350XWB cabin, cockpit design and the Concept Plane Vision 2050, both resulting in a new passenger comfort & service experience as well as a higher airline efficiency. 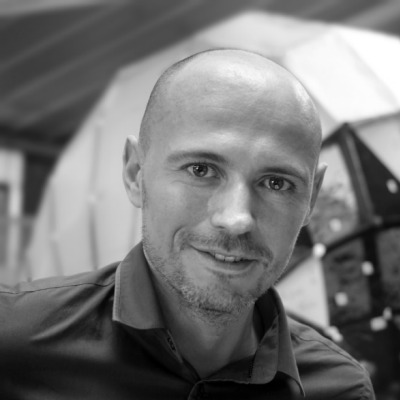 He oversees the Airbus Industrial Design Group and also provides leadership and direction for industrial designer teams across the company, as well as to foster a design excellence culture within Airbus Group. He is based in Munich, Germany. Previously Bruno was the Head of Design and Advanced Design at the Airbus Commercial Design Centre in Toulouse, France, from 1994 to 2013. His mission was to develop all the aircraft products, differentiating their individuality, and creating a seductive interior of cabins and cockpits. Prior to that he was in charge of car and product design at Renault-Matra's design studios from 1988 to 1993. Bruno began his career at French automaker Peugeot, where he was responsible for driving the style of small and mid-size cars. 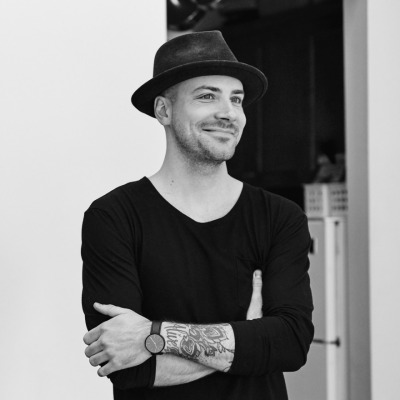 Born and raised in Madrid, Jaime started Architecture at the Polytechnic University of Madrid but shortly after moved to Switzerland where he achieved a Degree in Industrial Design at the Art Center College of Design. He has upgraded his studies taking seminars at Harvard, IESE, IE and St. Louis University Business School. After graduating he worked as a design consultant for Philips at the Domestic Appliances department in The Netherlands. From this experience, he decided to found in 1998 his own company, Mormedi, a design consultancy that innovates through customer experience, with a strategic approach, delivering service design, industrial design and digital experiences. The company now includes a multidisciplinary and a highly skilled team of designers, strategists, engineers, business development consultants and marketing specialists. Mormedi covers many sectors in a wide variety of typologies, ranging from banking, airlines, telecommunications, consumer electronics, energy, etc. The 70% of its turnover comes from abroad, working for 12 companies that belong to the "Fortune 500” list. 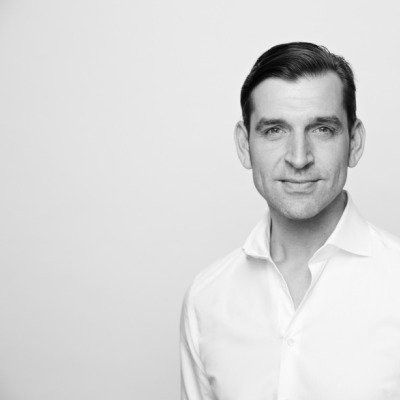 Jaime combines his dedication to Mormedi, as CEO and Creative Director, with a passion for design which has led him to take part as a member of the jury in several competitions and to give conferences in Spain, UK, Denmark, Japan and Hong Kong. He is also a member of the Design Management Institute (DMI), the Industrial Designers Society of America (IDSA), and the International Forum Design (IF). Jaime has been awarded with the “2015 National Design Award” in the Professional’s Category, given by the Spanish Ministry of Economy and Competitiveness. Robert Sachon has studied free arts, product design and is a graduate of the Harvard Business School´s General Management Program (GMP). He can look back on a long design career in the household appliance sector. Among other things, he worked as a designer for the Siemens brand and was responsible for the design of the regional brands in Southern Europe and South America belonging to the BSH Group portfolio. 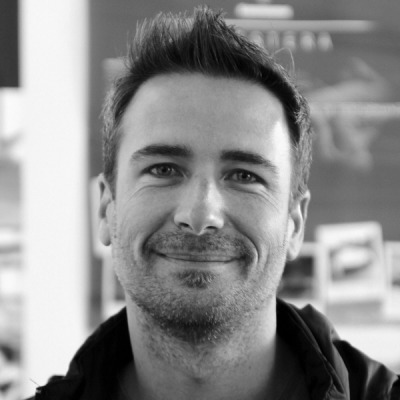 Since 2005 he has shaped the Bosch brand as Global Design Director. His holistic design approach has been acknowledged with numerous international design awards. Only recently, Sachon and the Bosch Home Appliances Design Team were awarded the honorary title of “Red Dot: Designteam of the Year 2015“. 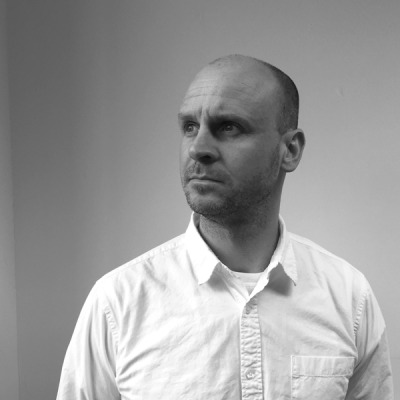 Jon graduated from the Royal College of Art in 1996 with a Masters degree in Industrial Design and then worked at leading design firms Pentagram and Ross Lovegrove. 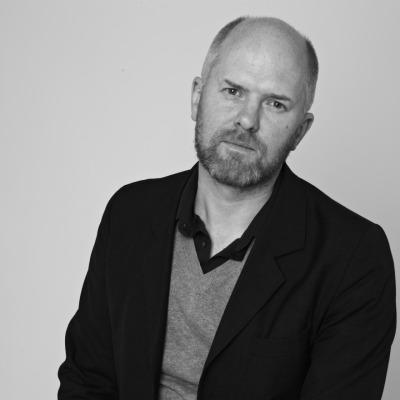 He joined Barber & Osgerby as Studio Director in 2003 and developed some of the studio’s most iconic furniture and products such as the De La Warr Pavilion Chair, Tab Lamp and the 2012 Olympic Torch before co-founding MAP with Barber & Osgerby in 2012. Three years on and after a successful Kickstarter campaign, Blaze have a team based in East London, manufacturing in China, and have raised approximately £1.5M in investment from the likes of the Branson Family and Index Ventures. Their flagship product, the Laserlight, is shipping to more than 52 countries and in 2016 it will be incorporated into all London’s Santander cycle hire scheme bikes. The new Burner back light will launch in Spring 2016 after becoming one of the most successful bike light campaigns in the history of Kickstarter. Her client work spans transportation, finance, healthcare, media, telecom, retail and automotive. She is a regular speaker in Europe and her work has been recognised through international press and design prizes, including a Gold and Bronze Business Week Awards for her work with Prada. 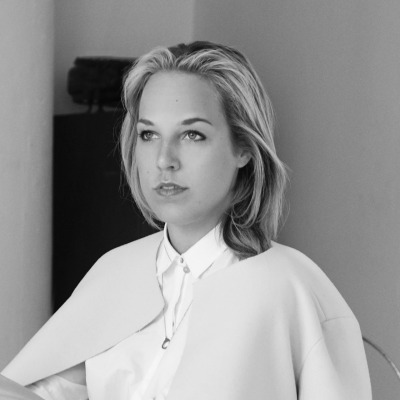 She was also listed as one of the 40 most influential designers in the world under the age of 40 by Wallpaper Magazine and was recently a judge for the Braun Prize 2015. She has a bachelor’s degree in product design from the University of Northumbria and a master’s degree in interaction design from the Royal College of Art. Hyuntaik started working at Samsung in 1996. He took a sabbatical to work for Ideo in Palo Alto between 2003-2004. 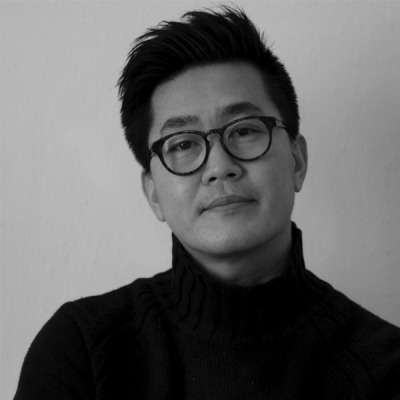 Whilst studying his Master’s degree at the Design Academy Eindhoven, he founded and ran a design studio with Korean government support. 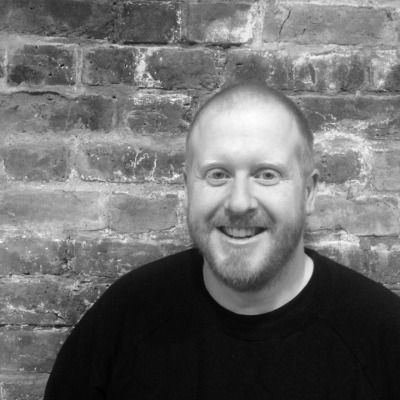 He then moved to London and joined SDE as creative lead in 2009. Moving on to product director, he now leads and develops projects across all categories of Samsung electronics. Pradyumna Vyas acquired a Masters in Industrial Design from the Indian Institute of Technology, Bombay. In June 2010, Vyas was conferred with an honorary Master of Arts degree from the University for the Creative Arts in Farnham, United Kingdom in recognition of his contributions to design education and design promotion. Vyas has more than 30 years of professional and teaching experience in different spheres of design. Since the last 25 years, he has been associated with the National Institute of Design (NID) as a faculty in the Industrial Design discipline. In April 2009, he was appointed as the Director of the National Institute of Design. In July 2011, Vyas was given the award for his outstanding contribution to design education at the second edition of Asia’s Best B School Award that was held at Singapore. Vyas was invited as the jury member for the special awards screening panel at Good Design Award (G-Mark) by the Japan Institute of Design Promotion, Japan consequently in 2012, 2013 and 2014.He has been at the helm of design promotion events in India and has represented NID in various international and national events. He was elected as an ICSID (International Council of Societies of Industrial Design) Executive Board Member for 2009–11. 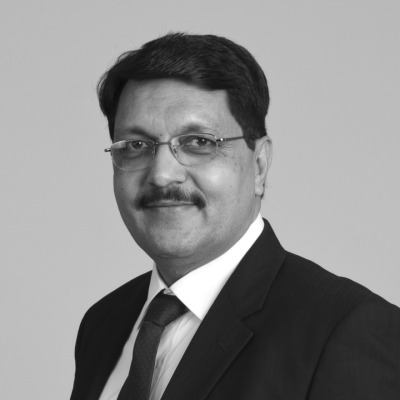 In pursuance of the National Design Policy approved by the Cabinet in February 2007, an India Design Council was constituted in March 2009 and Mr Vyas has been nominated as its Member Secretary by the Ministry of Commerce & Industry, Government of India. In July 2015, World Education Congress, 2015 conferred the award for Outstanding Contribution to Education to Mr. Vyas. Hrridaysh has been in the field of education for over 21 years. Presently, Hrridaysh is the member of Governing Body of Ajeenkya DY Patil University and is the Director of DYPDC School of Design and School of Film and Media. 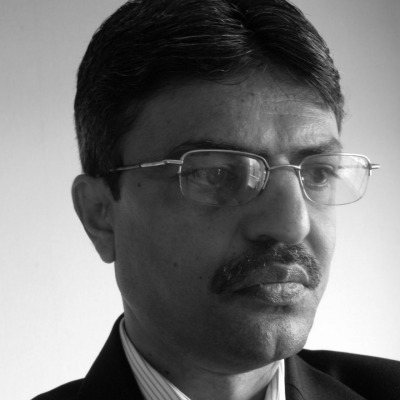 He is associated with the India Design Council (IDC) as its consultant advisor. IDC is a national strategic body of Government of India established under the aegis of Department of Industrial Policy & Promotion, Government of India. Under the aegis of IDC he is spearheading the India Design Mark program in cooperation with Good Design Award, Japan. He is the member of CII National Committee on Design. In 2004 he founded Creative-i College one of India’s first private initiatives in the field of Design Education. Over the years Hrridaysh has acquired proficiency in business innovation strategy and design driven Innovation. He focuses on structured innovation practices for organizational innovation via appropriate tools, methods and processes. Hrridaysh has worked on several committees on innovation and has been a speaker at many prestigious forums. Through his work, Hrridaysh has assisted leading companies across a range of industries. Hrridaysh is an experienced, enthusiastic, and energetic educator and innovation facilitator. He is passionately committed to education and capable of expanding the limits of traditional pedagogy through the development and realization of a unique integrative and interdisciplinary curriculum. Shashank Mehta is a principal faculty of Industrial Design at the National Institute of Design, Ahmedabad. Currently, he is the Activity Chairperson of the Institute’s Professional Education Programme. Over the last five and half years, Shashank also served as the project head of the Design Clinic Scheme for MSMEs, a unique and ambitious design intervention scheme for the country’s large MSME sector. Supported by the Ministry of MSMEs, Government of India, the scheme reached out to over 200 MSME clusters through organization of Design Sensitization Seminars, Design Awareness Programmes and Design Projects. Over the years Shashank has taught at the Undergraduate and Postgraduate levels, spanning various design disciplines. Shashank has spearheaded the introduction of new course modules 'Design Process', ‘Indigenous Innovations’, ‘Service Design’, ‘Design Audit’, and ‘Introduction to Experience Design’, that are in sync with the rapidly changing demands and aspirations of the industry and economy in general. He also anchored and conducted several workshops on these topics for the participants from various sectors of industries. In 2007, he developed the vision report and the curriculum for the four year undergraduate programme in Product Design. Shashank also developed curriculum for the Postgraduate Programme in Product Design Engineering. Srini Srinivasan is a highly accomplished entrepreneur in creative design and technology development, with over 20 years of work experience in the Silicon Valley, United States. 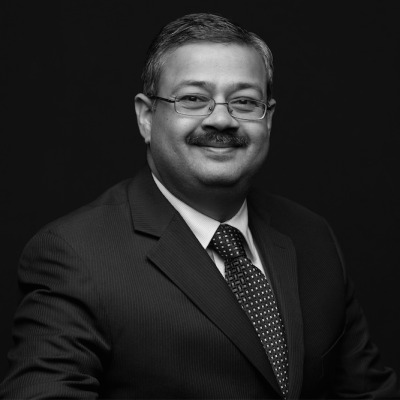 As a highly networked and connected person, Srini has developed business successfully across the globe for the past two decades with F-500 companies. Srini has successfully raised capital from leading VCs in the Silicon Valley and enjoys being in Start-ups with his broad set of skills & global customer experience. Srini is an avid global traveller and enjoys visiting various locations around the globe and meeting people. He loves to play golf and follows several major sports like Soccer, Golf, basketball & Cricket. 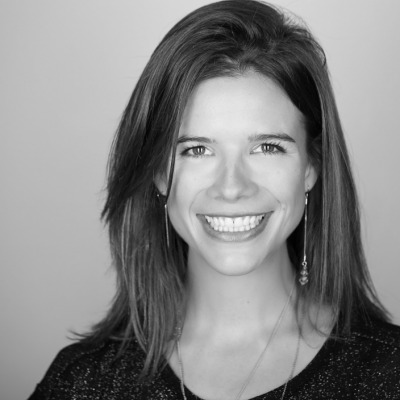 Emily Pilloton is the founder of the nonprofit Project H Design. 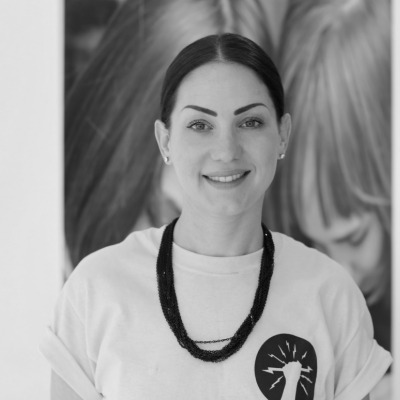 Since 2008, she has run Project H and worked with young people ages 9-18 to bring the power of design and building to schools and communities. Emily is trained as an architect with degrees from UC Berkeley and the School of the Art Institute of Chicago, but found that she is physically incapable of working in an office or for a boss and much prefers the creative chaos of a public school classroom filled with tools and welding equipment. Project H Design was born out of the hope that authentic, on-the-ground, face-to-face work with young people could transform what it means to be a design professional, what it means to learn in the 21st century, and what it means to get dirty and physically build solutions for your community. Specifically, Emily launched 2 Project H programs: Studio H, an in-school design/build curriculum, and Camp H, an after-school and summer building camp for young girls ages 9-13. Exploring the intersection of science, art, math, and community development, Emily has led Project H youth in the design and construction of an award-winning 2,000-square-foot farmers market structure, chicken coops, playgrounds, their own school library, microhomes for the homeless, laser-etched skateboards, and welded steel public sculpture. Emily believes that by giving youth, particularly girls and students of color, the skills to design and build their wildest ideas, we can support the next generation of creative, confident changemakers. Her ideas and work have made their way to the TED Stage, The Colbert Report, the New York Times, and more. 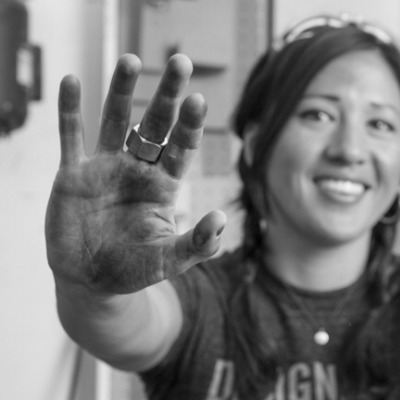 Her work is the subject of the full-length documentary If You Build It. She is the author of two books, Design Revolution: 100 Products that Empower People, and Tell Them I Built This: Transforming Schools, Communities, and Lives with Design-Based Education. 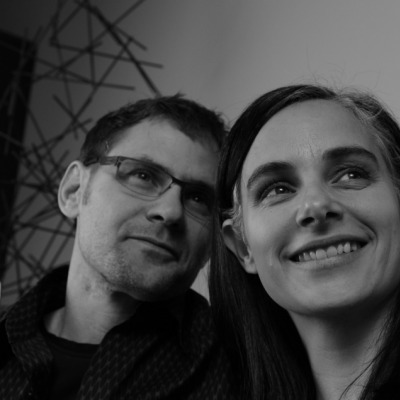 Emily is also a Visiting Professor in the Department of Design at UC Davis. 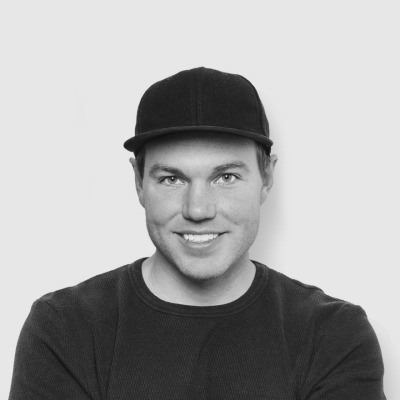 John Bielenberg is a designer, entrepreneur, and imaginative advocate for creating a better world through the application of creativity and ingenuity. John co-founded Future Partners, a Silicon Valley Innovation firm, in 2012 to teach Rapid Ingenuity Practices to individuals, teams, and organizations around the world. 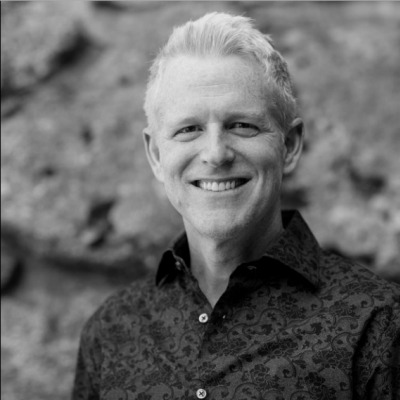 In 2001, John co-founded C2 Group, a brand strategy firm, to help leaders from technology start ups, Fortune 500 companies, and the world’s top business management consulting firms develop, build and protect their brands. In his career, John has won more than 250 design awards, including the AIGA (American Institute of Graphic Arts) Gold Medal for lifetime achievement. 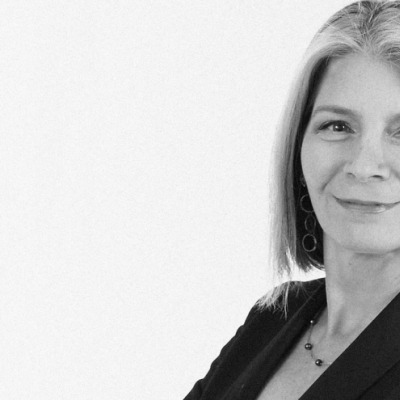 Under Maria’s leadership, Hot Studio, the experience design firm she founded in 1997, grew into a full-service creative agency with an impressive list of Fortune 500 clients. In March 2013, Facebook acquired the talent behind Hot Studio. 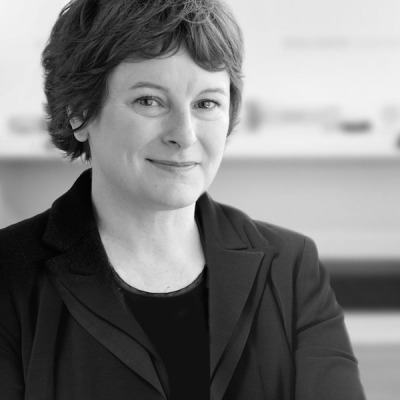 In 2015, she joined Autodesk as VP, Experience Design. Her latest book, Rise of the DEO: Leadership by Design, is published by New Riders. Maria is an AIGA Design Fellow. She has spoken at conferences all over the world and currently serves as an adjunct professor and trustee at California College of the Arts in San Francisco. Maria is a mom to two amazing teenagers, and just recently, was ordained as a Minister at the Universal Life Church. Born in 1976, Constance Guisset lives and works in Paris. After studying at ESSEC business School and Sciences-Po Paris, then a one-year internship at Japan Parliament in Tokyo, she chooses to turn towards design and enters ENSCI design school from which she graduates in 2007. 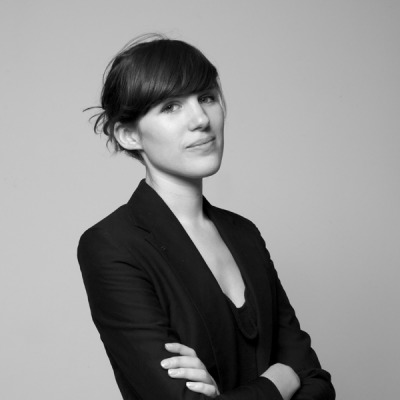 In 2008, she is awarded the “Grand Prix du Design de la Ville de Paris”, wins the Prize for the Public of the Design Parade at La Villa Noailles (Hyère, France), as well as two grants from the VIA (French institute for the valorisation of innovation in design). In 2010, she is named among the “ten designers of the year” in Maison & Objet, Now! Design à vivre and wins the Audi Talents Awards. Constance Guisset establishes her own studio in Paris in 2009. She works with many French and international furniture editors like Molteni, Petite Friture, Moustache, etc. She also designs industrial objects for companies like La Cie – Seagate or travel accessories for Louis Vuitton Malletier for instance. Since 2009, she has realized the stage designs of several shows, among which Angelin Preljocaj’s solo, Le Funambule, Laurent Garnier’s Concert in Salle Pleyel in Paris in 2009 or Angelin Preljocaj’s ballet Les Nuits presented in Théâtre National de Chaillot in Paris. She also conceived stage design for exhibitions for the Arts Décoratifs museum in Paris, the Villa Noailles, or for brands like Established & Sons or Molteni (2011, Paris Designers’ days award for best scenography). She developed a new concept of interior design for Accor hotel group Suite Novotel. It has been deployed in The Hague and Paris in 2014. 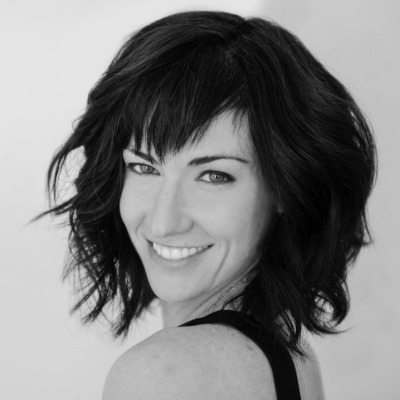 Her work finds applications in industrial design, stage design, interior design and videos. It is guided by an interest for illusion, lightness and surprise. She creates moving objects to raise amazement and fascination. Hanna Nova Beatrice is a design writer and Editor in Chief of Swedish title Residence and English language bookazine My Residence. She has been the Editor of a number of magazines, all focusing on design and interiors, as well as edited and written books on design, including the book Behind the Scenes in the Design industry. 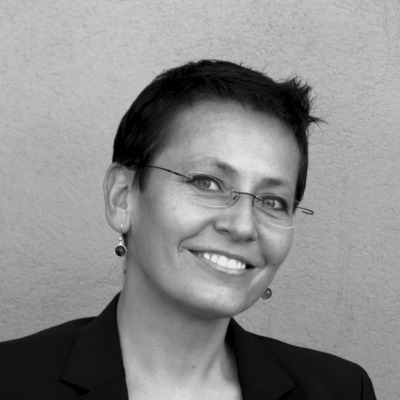 She regularly holds panel debates on design and have co-curated exhibitions such as 20 Designers at Biologiska (Stockholm 2011) and Norweigan Structure (Milan 2016). Shuwei was born in 1981 in China. She studied MBA at Stanford University Graduate School of Business in 2007-2009. As a serial entrepreneur, she has 12 years intensive experience of marketing, design, product, technology and investment. 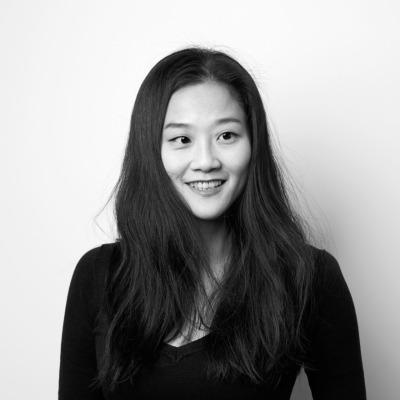 In 2014, she founded Zaozuo, a lifestyle brand that combines global design and domestic manufacturing to present the decent urban lifestyle for new Chinese middle-class. 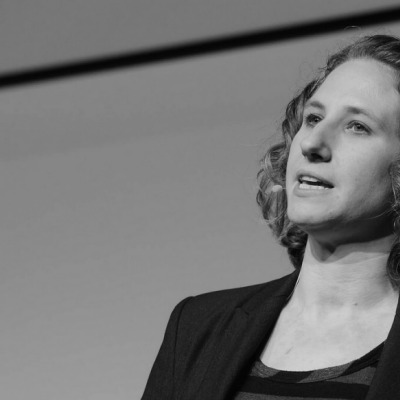 Alexis Lloyd is the Creative Director of The New York Times Research & Development Lab, where she investigates emerging technologies and prototypes future concepts for news and media. 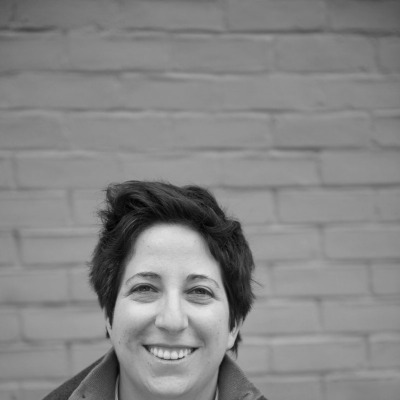 Her work is focused on creating immersive and exploratory experiences through innovative physical-to-digital interactions, data visualization and screen-based interfaces. Before joining The New York Times Company in 2007, Ms. Lloyd designed award-winning projects for Columbia University, FOX, American Express, The New York Historical Society and PBS, among others. Additionally, her media artwork has been shown at international venues such as the Cooper-Hewitt National Design Museum, SIGGRAPH, the Chelsea Art Museum and Symphony Space. Ms. Lloyd received her Bachelor of Arts from Vassar College and holds an MFA in Design and Technology from Parsons The New School for Design. 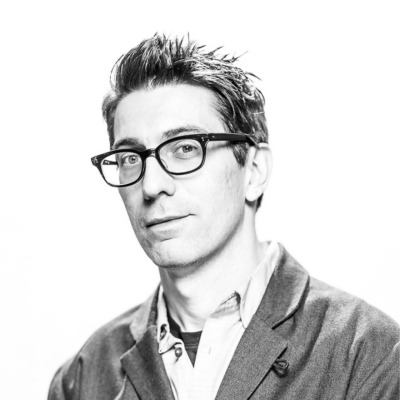 I've got 17 years of experience building teams and shipping products in wildly different creative and business environments - startups (co-founder @dodgeball, head of product @Foursquare), large tech companies (Google), digital agencies (R/GA, Razorfish) and an amazing tech-meets-art graduate program (NYU’s ITP). I'm currently leading Product at a NYC-based hardware + software company called Nucleus. We're building a smart intercom that will serve as the foundation for people to communicate seamlessly with the ones they care about the most — whether they’re in another room in the same house, in a completely different location (Hi mom!) or on the move on their mobile devices. You can learn more about the product at www.nucleuslife.com. I'm building up the product team so if you have any interest in designing an experience that will live at the center of families' lives, get in touch and let me know what excites you about it. Donna Lichaw brings over 15 years of experience guiding startups, non-profits, and global brands in optimizing their digital products and services by providing them with a simplified way to drive user engagement through impactful storytelling. As a consultant, speaker, writer, and educator, she utilizes a ‘story first’ approach to help teams define their value proposition, transform their thinking, and better engage with their core customers. She began her career as a designer and user experience strategist for multiple startups and design agencies in New York and London, working with brands like Casio, Capitol Records, Sony Pictures, and Seamless. Prior to her career in technology, she refined her talent for storytelling and narrative development as an award-winning documentary filmmaker. Now recognized as a thought leader in storytelling and customer engagement strategies, she has presented as a keynote speaker at design and technology conferences in the US, Canada and Europe, and taught courses at New York University, Northwestern University, The School of Visual Arts, and Parsons the New School for Design. Her upcoming book – “The User’s Journey: Storymapping Products That People Love” is out now. You can find her on Twitter @dlichaw and on the web at www.donnalichaw.com. Notable projects include the design of a pair of shoes with inbuilt GPS to guide the wearer home, a Stained Glass Driverless Sleeper car of the future and a INVENTORS! project turning children's ideas into real things. J Milligan is the Executive Producer at Toca Boca, a play studio that makes digital toys for kids. He is spearheading the company’s new video division dedicated to exploring the new kids TV and video landscape. Before joining Toca Boca, Milligan served as creative director of the content innovation lab and digital media group at Sesame Workshop. Pioneer leader in educating general consumers about the value of new technologies while bringing hi-tech experiences to market, Kelly enjoys the thrill of braving new frontiers in establishing category-leading products and shepherding the ever-changing customer journey. She is adept at capturing the hearts of early adopters and leveraging their influence as brands & products tip over into mass market. Somchana Kangwarnjit graduated from King Mongkut's Institute of Technology Ladkrabang with a degree in industrial design. In 2009, he founded Prompt Design, helping his clients to build brands and businesses by delivering new experiences in strategies and design executions. Prompt Design’s clients include Nestlé, CP, Singha Corp, Lotte, Glico, FrieslandCampina, Cargill, Boots, etc. He is regularly invited to be a committee or jury member for design competitions and often serves as a guest columnist and professor for many publishers and top universities. Platinum, Gold, Silver and Bronze Pentawards, Asian Young Designer of the Year from Designnet, The Dieline Awards, IF Design Award, Red dot, Fab Awards, Communicator Awards, ASIA Star Packaging Award. 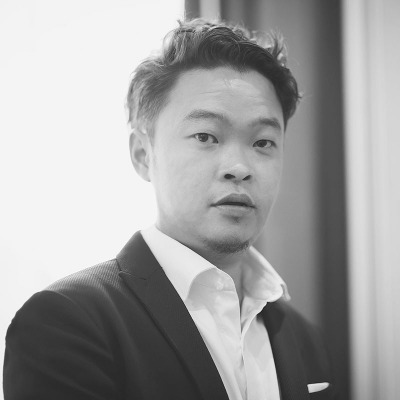 Derrick Lin founded Packaging of the World in 2008 and has led the website to become one of the most prominent packaging design portals in the world. 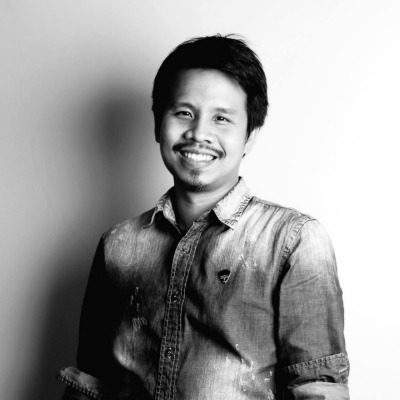 He is also the co-founder and Art Director of Mojo Red, a boutique creative company in Singapore. Packaging of the World has grown to become the daily inspiration website for designers from all around the world by publishing some of the most interesting and creative projects from large global agencies to students. The audience includes packaging designers, graphic designers, advertising agencies, students, manufacturers and suppliers, garnering over a million impressions every month. Through the website’s business directory, agencies and suppliers can now easily link up and create business opportunities. Today, Derrick Lin is always thinking of new innovative ideas to improve the packaging community as a whole. He is obsessed with, and passionate about, great packaging design. Fumi Sasada was born in western Japan, but attended high school and university in Los Angeles, USA. 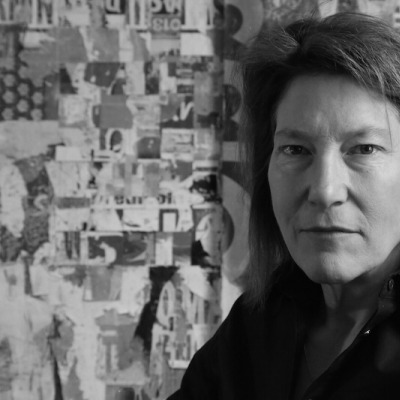 After graduating from the Art Center College of Design, Pasadena as a graphic and packaging major in 1975, Sasada joined the headquarters of Landor Associates. He returned to Japan as creative director of their Tokyo office in 1983 and was responsible for major corporate identity projects including JAL, Mizuno, Tokyo Gas, NEC, the Nagano Olympics and many others. 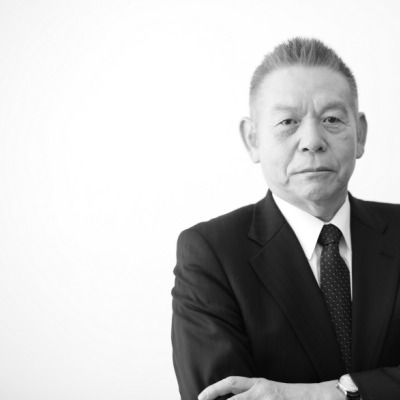 He was appointed Japan representative and deputy president of Landor Associates, Tokyo in 1992 and established Bravis International in June 1996. With an in-depth knowledge of branding and design issues based on 30 years experience as a designer and a design director in the US, Japan and Asia. From 2006 to 2014, President of the Japan Package Design Association (JPDA). From 2015, member of the selection committee for the 2020 Tokyo Olympics and Paralympics. Takaki was born and raised in Osaka, Japan. After graduating from Ritsumeikan University of Economics, he started to work at an architectural firm and then changed his career to a publishing company. 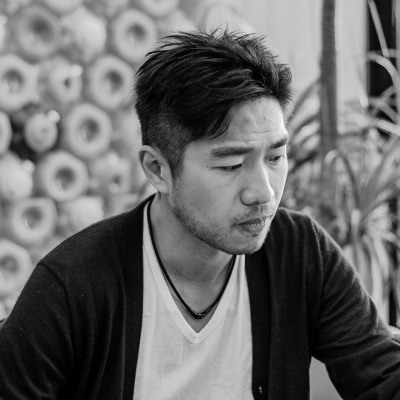 In 2000, he founded Design Force, starting his design career as a Creative Director. Since then he has a motto "Somewhere in the world, someone is waiting for me." He has worked on projects for major Japanese companies such as Kokuyo, Lotte, Yakult, Rohto, Morinaga Milk, Aprica and the government of Kyoto-city. Main Prizes He has won: Gourmand World Cookbook Awards 2011 Best in the World, iF packaging awards 2012, and APD 2015 Best Creative Awards. Also he is in charge of a director of JPDA (Japan Package Design Association), a vice-chairman of ASPaC (Asia Student Package Design Competition), and a design director of DOOR to ASIA (Designers in Residence Program). 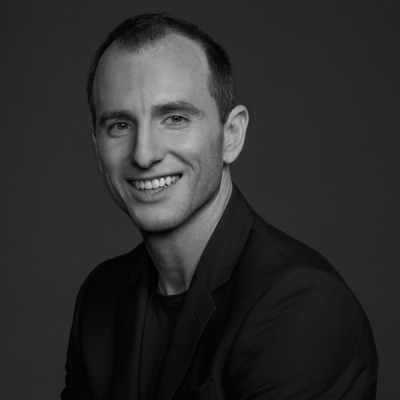 Joe Gebbia is a designer and entrepreneur, and is the co-founder and Chief Product Officer of Airbnb. In 2009, Gebbia was listed in BusinessWeek’s Top 20 Best Young Tech Entrepreneurs. In 2010, he was named in Inc. Magazine’s Thirty under Thirty, and 2013, he was named in Fortune Magazine’s Forty-under-Forty. As Chief Product Officer, Gebbia oversees various teams to create a simple and easy Airbnb experience for all. The results are a product that considers the user’s experience from the moment of online contact to the end of their physical stay in Airbnb listings around the world. Under his leadership, Airbnb is now at the forefront of the emerging discipline of service design, a practice that improves the quality of interactions between service providers and their customers. Gebbia's lifelong appreciation for art and design led him to the Rhode Island School of Design (RISD), where he now sits on the Board of Trustees. There, he honed his skills while obtaining degrees in product design and graphic design. While studying in the Northeast, Gebbia complimented his creative pursuits and studies at RISD with business coursework at Brown University and MIT. Influenced by the work of Jean Prouve, Charles and Ray Eames, and the Bauhaus movement, Gebbia has long been immersed in the art of designing for the human experience. After moving to San Francisco, Gebbia worked as a designer for Chronicle Books where he experienced first-hand how a design-led business worked, department by department. The culmination of these ideas and experiences came to fruition in 2008, when he co-founded Airbnb with Brian Chesky and Nathan Blecharczyk. What began in an apartment in San Francisco during an IDSA conference has spread to 34,000 cities in over 192 countries. Beatrice Galilee is a London-based curator, writer, critic, consultant and lecturer of contemporary architecture and design. Trained in Architecture at Bath University, and in History of Architecture MSc at the Bartlett School of Architecture, UCL, Beatrice specialises in the dissemination of architecture and design through city-wide projects, media, curatorial practice, research, editing and teaching. From 2006-2009 Beatrice was Architecture Editor for Icon Magazine, one of Europe's leading publications in architecture and design. In 2008 she won the IBP Architectural Journalist of the Year Award. Beatrice's writing has been published in a number of international magazines and books as well as daily newspapers, including Domus, Abitare, MARK, Tank, Pin-Up, Above, Building Design, Architectural Review, Architecture Today, RIBA Journal, Architect's Journal, DAMn, Frame, Wallpaper, Another Magazine, and the Serpentine Pavilion catalogue. David McKendrick is an British art director and graphic designer. In 2014 he founded B.A.M. with business partner and fellow art director Lee Belcher. B.A.M. is a london based creative agency specialising in art direction, design, publishing and branding. Formerly creative director at British Esquire. Mckendrick graduated from Glasgow School of Art in 2000 and began his career as a Designer at Graphic Thought Facility, one of the most innovative design companies in London. The group produced work for The Tate Gallery, Booth-Clibborn Editions, the Design Museum, the V&A and Habitat, among others. Previously, McKendrick worked as Art Editor of the Bespoke department at Wallpaper* magazine and as a Senior Designer at the fashionable design group, North. In 2009 McKendrick was named BSME (British Society of Magazine Editors) Art Director of the Year. In 2008 he was also named PPA (Periodical Publishers Association) Designer of the Year. In 2007 he won Best Magazine Design at the MD&JA (Magazine Design & Journalism Awards)n for Esquire's relaunch. In November 2015 he was awarded the honorary degree of Doctor of Design at Southampton Solent University. McKendrick also is a visiting lecturer and guest tutor at, Glasgow School of Art, Bath School of Art and Design, Southampton Solent University and most recenly Nottingham Trent University. 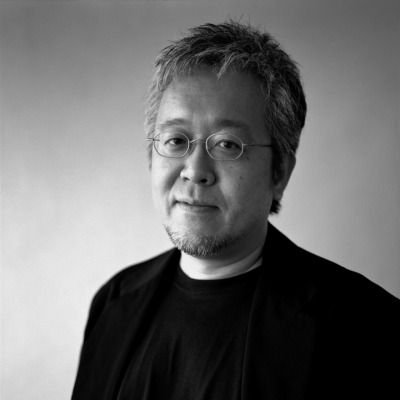 Born in 1958, designer, President of Nippon Design Center, Inc, and professor in Musashino Art University. He attaches importance on “invisible” design as well as “visible” design and constantly broadens the horizon and scope in design. Art Director of MUJI since 2002. Additionally, he has produced many exhibitions, such as “RE DESIGN”, “HAPTIC” and “SENSEWARE”, which focus on value renovation. His books, “Designing Design” and “White”, are translated into many different languages and gained great popularity in many countries. Maggots. Sheep stomachs. Seaweed. German-born designer and researcher Julia Lohmann investigates and critiques the ethical and material value systems underpinning our relationship with flora and fauna. She is Professor for Design at the University of Fine Arts, Hamburg (HFBK) and directs her eponymous London-based design practice. Julia studied at the Royal College of Art, where she has also taught and is currently engaged in an AHRC-funded collaborative PhD scholarship between the RCA and the Victoria & Albert Museum. 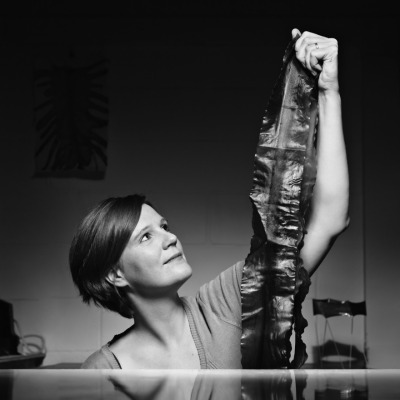 As designer in residence at the V&A in 2013, she established the Department of Seaweed, a transdisciplinary community of practice exploring the marine plant’s potential as a design material. Julia Lohmann’s work is part of major public and private collections worldwide and has received awards, bursaries and support from the Esmée Fairbairn Foundation, the British Council, Jerwood Contemporary Makers, D&AD, Stanley Picker Gallery, the Arts Foundation and the Wellcome Trust. Matt Malpass is responsible for the Coordination of MA Industrial Design at Central Saint Martins: University of the Arts London. His research and practice centre on critical, speculative and socially responsive design practice. He has written extensivly on critical design practice and is the author of the forthcoming book Critical Design in Context: History, Theory and Practice. Thomas Thwaites is a designer whose work examines the interaction of science, technology and culture in shaping our present society, and possible futures. 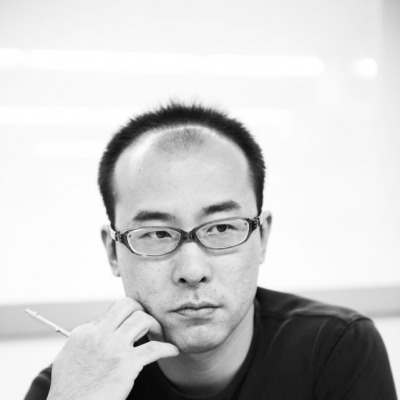 His work has been acquired by the Victoria & Albert Museum for their permanent collection, and is exhibited frequently and internationally, including at the National Museum of China, the Museum of Modern and Contemporary Art in Seoul, the Science Museum (London), and the Zero 1 Biennial (California). Press includes features in national newspapers including the New York Times, Sued Detsche and The Financial Times. He has presented a four part television series, aired on Discovery Channel. His first book, The Toaster Project, published by Princeton Architectural Press, has now been translated in to Japanese and Korean editions. 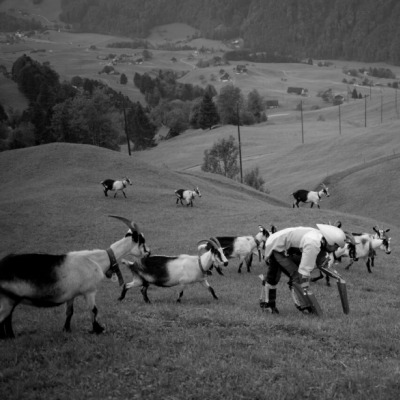 His second book, written about his Wellcome Trust funded project to take a holiday from being human by becoming a goat, will be published in May 2016. Malin is leading the Veryday creative team with a focus on service business and customer experience. She is coaching the design and innovation teams to challenge customers and deliver world class, innovative and meaningful service and customer experience solutions. Responsible for building and supporting multidisciplinary teams to leverage the power of a people driven, engaging, innovation approach to explore and uncover solutions that are meaningful to people and that really can make a difference to individuals, environment, society and business. 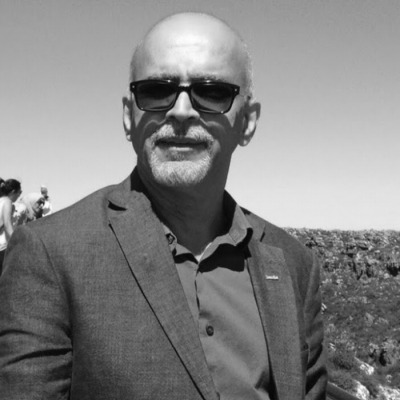 A strategist and team leader with 20+ years of consultancy experience from a wide range of industries, working with multinational clients on a daily basis. Lecturer, keynote speaker and advisor to global brands on customer experience, design strategy, and people driven innovation. 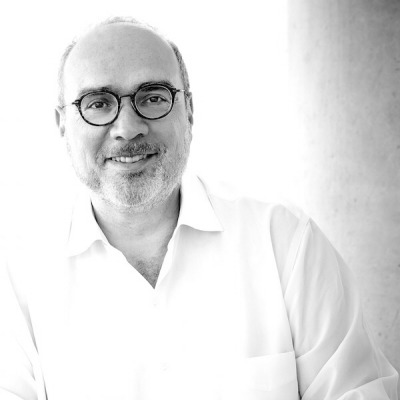 Denis Weil is an Innovation Executive, Change Leader and “Social Creative” focused on propelling the impact of design and innovation in the social sector. As one of the private sector pioneers and thought-leaders in the field of service design, Denis is now applying his innovation leadership to social and civic innovation advising social and public organizations on how to reach impact at scale. He is currently a Senior Advisor for Innovation and New Services for Year Up, the leading workforce development social enterprise, and an Advisor for the Government Innovation team at Bloomberg Philanthropies. 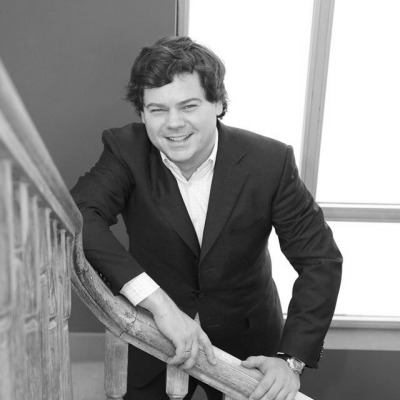 Denis’ passion is to advance the practice and impact of Design. In 2015 Denis was an Advanced Leadership Fellow at Harvard University where he researched new ways to cross-pollinate the practices of Social Science and Design. A long-time adjunct professor at the Institute of Design at IIT in Chicago, Denis teaches classes in Service Design and Social Innovation. He is also a frequent speaker at innovation and design conferences and his viewpoints about the value of design for innovation have been published in ID magazine and Business Week. 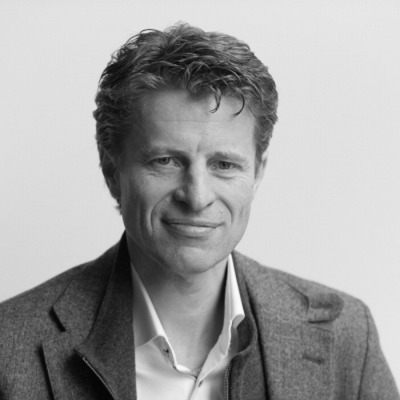 Paul Gardien is Vice President of Philips Design and as member of the Philips Design Board responsible for both the strategic development of the global design function and the Design Research & Innovation program. In his strategy role, he has been instrumental in transforming Philips Design from a service unit into a global function. The Design Research & Innovation program creates new design competences, future visions and new propositions for Philips and has won numerous awards. The drive in the program is to create meaningful and relevant propositions based on a solid understanding of how these will evolve in the future, while ensuring that the propositions land in the various businesses increasing their hit rate of innovation. Paul has spent his entire professional career at Philips Design, working in many different areas ranging from product-, multimedia- and internet design, to different management and development functions. He is and has been a member of various boards, juried in multiple renowned design competitions. He’s also a frequent speaker at international design and innovation conferences. 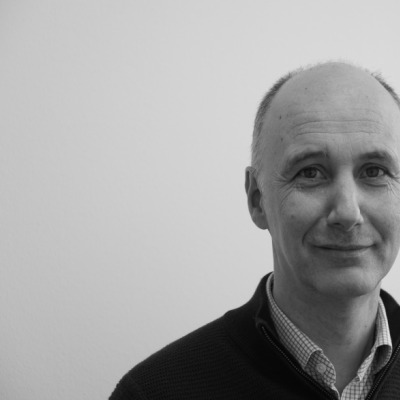 Paul studied industrial design engineering at the Delft University of Technology and holds a PhD in Design Innovation from the Eindhoven University of Technology. 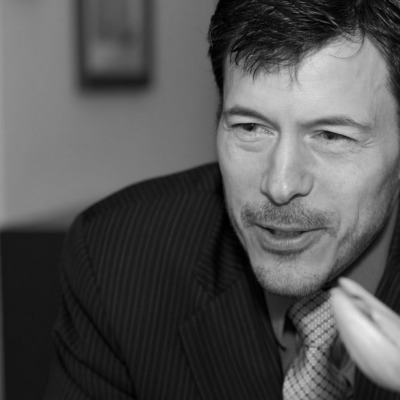 Torun Degnes, is a Management Consultant with more than 20 years of experience with design and innovation processes in a wide range of businesses. She is industrial designer from education and has a broad experience from different leading positions, previously CEO of a multi disciplinary product development consultancy. Torun was for many years the board deputy chairman of the Norwegian Design Council and board member of one Innovation Norway regional office. 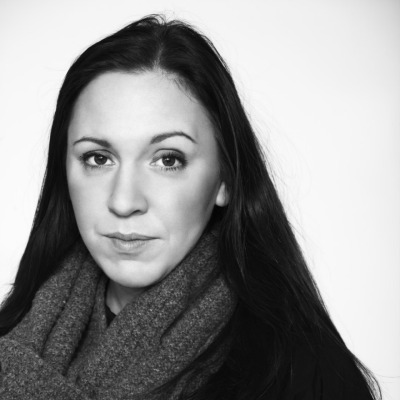 Torun is an experienced juror and Jury Leader for the Norwegian Design Excellence Award. Eric is founder and president of The CARLAB, an advanced automotive consulting firm which helps manufacturers and suppliers plan and design new vehicles. Founded in 1999, it is the most influential auto product consultancy in North America, serving carmakers from Nissan to Ferrari, Toyota, VW, Honda and Subaru, in addition to industry suppliers such as Continental, global auto clubs and the energy industry. Eric is also Professor of Vehicle Technology at Art Center College of Design in Pasadena, where most of the world’s top car designers are trained. He is a frequent media commentator and analyst on the auto industry, and a member of the Motor Press Guild. In addition to his professional activities, Mr. Noble is a longtime environmental volunteer with the Sierra Club, and enjoys surfing and off-road camping with his wife and two sons. 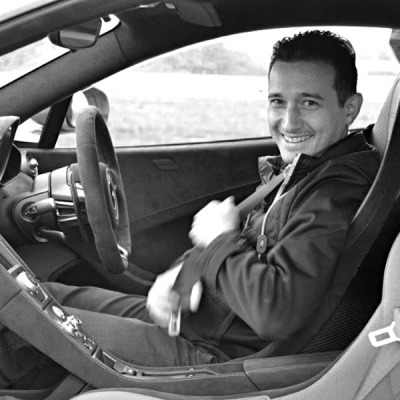 Alex is a designer at McLaren Automotive in the UK since 2013. His work at McLaren includes, production, advanced and bespoke customer projects through McLaren Special Operations. Prior to joining McLaren he worked with a So-cal EV start-up to develop an electric platform for limited production in Newport Beach. He has worked in a variety of studios such as Polaris Industries, Volvo (VMCC), Toyota ADV Design (Tokyo), and Misha Design (LA) during his studies. Alex is a Graduate with Honors (12’) of Art Center College of Design in Pasadena, where most of the world’s top car designers are trained. Some of his work can be seen in the Petersen Automotive Museum, within the design process showcase. In addition to his professional activities, Alex is a outdoor fanatic, tennis player, and dedicated car enthusiast. Anne Asensio joined Dassault Systèmes (3DS) in November 2007 as Vice President of Design Experience. She is responsible of Dassault Systèmes’ Design Experience strategy with the mission to define and implement innovative Design strategies and 3DExperience solutions for enterprises, as well as defining Dassault Systèmes brand identity. 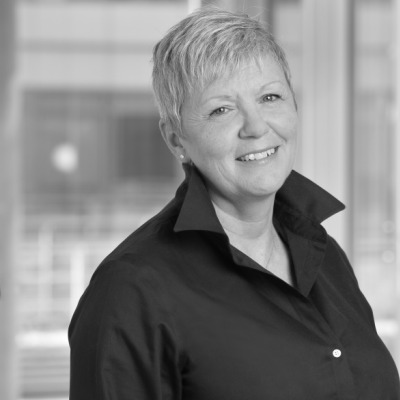 Prior to 3DS, Anne held influential and executive roles at General Motors (2000/2007) and Renault (1987/2000), and won several prestigious accolades for her talent and experience. Her work illustrates a consistent interest in innovation and definition of future design practices and methodologies. 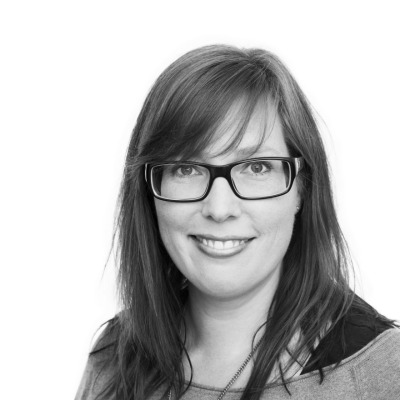 Focused on brand character building, Anne brings a unique ability to establish the right environment for creativity, fostering collaboration and cross- fertilization among teams and delivering design concepts with meaningful benefits for people. Anne is also a member of prestigious committees such as Eyes on Design, the Festival de l’Automobile, Louis Vuitton, ADC Super Design, L’Observeur du Design, Car Design News... She is a founding member of the Design Code collective of design managers, APCI’s strategic council, Paris Tech research chair ”Modélisation des Imaginaires“ and the Ecole des Mines research chair on innovative design processes. She is a member of the administration board for Strate College and Web School Factory, as well as an independent administrator on the board of the automotive supplier Plastic Omnium. 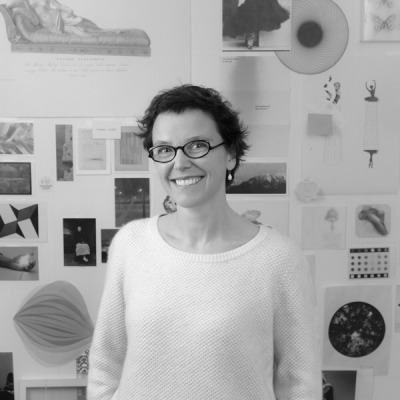 Anne holds a Master of Arts in transportation design from Detroit-based Center for Creative Studies; a DSAA of industrial design from Paris-based Ecole Nationale Supérieure des Arts Appliqués. Demian Horst is since 2009 Programme Director for Transportation Design at Umeå Institute of Design (UID), Umeå University, Sweden. UID provides one of the world’s most highly ranked design educations and Demian started in his current position as the youngest director for a masters programme in the history of the school. Prior to this he has worked several years at General Motors in Germany, had a strong cooperation with Saab Automobile during his master studies, developed applied research together with Volvo Truck Corporation and also dedicated a few years in his early career to designing busses and coaches. Demian holds an MA from UID in Sweden and a BA acquired in his native Brazil. At the Umeå Institute of Design he is also a member of the leadership group, holding strategic collaboration matters as his main responsibility. Being very aware of the importance that transportation has on quality of life, his task is to promote the generation of new knowledge on the subject and to continuously develop the best conditions to educate highly skilled, responsible and creative transportation designers for the industry of the future. 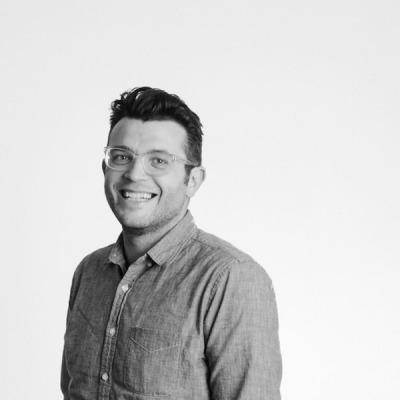 Mackey Saturday is a new principal designer at Chermayeff & Geismar & Haviv. Responsible for some of today’s most exciting and talked-about identities – including those for Instagram, Oculus, and Luxe – Mackey has become a definitive source for trademark design to the leading brands of Silicon Valley as well as other progressive companies around the world. 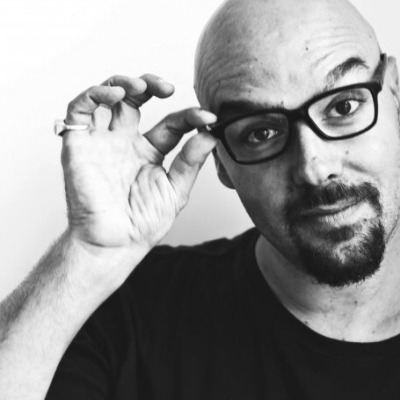 He has spoken at AIGA events and creative conferences, as well as universities and design schools around the country. With a life-long history of pursuing art and visual communication, he focuses on idea-driven strategy and graphic design to create and advance steadfast identities. Lotta Nieminen is an illustrator, graphic designer and art director from Helsinki, Finland. She has studied graphic design and illustration at the University of Art and Design Helsinki and the Rhode Island School of Design, and has worked as a freelancer in both fields since 2006 before starting her Brooklyn-based studio in 2012. In 2014, she was nominated for Forbes magazine’s annual 30 Under 30 list in the Art & Style category. In 2010, she received the Art Directors Club Young Guns award and was selected by Print magazine for its annual New Visual Artists review, highlighting 20 international rising designers under the age of 30. Lotta has given talks around the US and Europe. Her client list includes companies such as Facebook, Hermès, Google, New York Times, Volkswagen, IBM, International Herald Tribune, Monocle, Newsweek, Wired, New York Magazine, Vanity Fair and Bloomberg Businessweek. 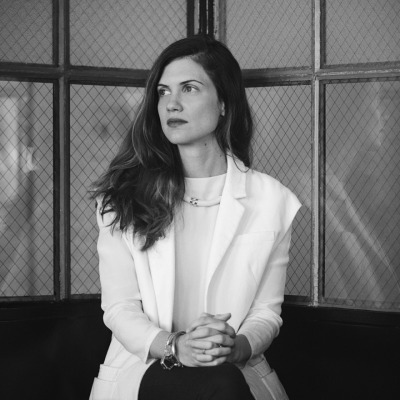 Roanne Adams is the Chief Creative Director and Founder of RoAndCo Studio. Established in 2006, RoAndCo serves as a visual thought leader for a range of forward-thinking fashion, beauty and lifestyle clients. Acting as both a strategic and creative resource for clients at every step of the branding experience, RoAndCo’s services include branding, art direction and interactive design. Roanne’s fresh, iconic and forward approach has been recognized throughout the design community and has garnered such honors as PRINT magazine’s “New Visual Artist (20 under 30),” ADC Young Guns 9, as well as one of six of the city’s most “outstanding up-and-coming design professionals” named by T Magazine. A current member of AIGA/NY’s Board of Directors, Roanne lives in Brooklyn with her husband and daughter. Ryan Essmaker is an NYC-based creative director, designer, and photographer. He is a partner at the creative studio, Wayward Wild, and cofounder of The Great Discontent, a print and online magazine featuring timeless conversations with today’s artists, makers, and risk-takers. Launched as a digital-only magazine in 2011, TGD has grown to include film projects, events, and print. Prior to TGD, Ryan served as Creative Director and Head of Product at Crush & Lovely in NYC, and ran his own design and development studio in Michigan.